Nate Wilcoxon wasn’t having the best day. It was Baptism Sunday, and four of the eight originally scheduled to be immersed had backed out at the last minute. Not only that, he’d been at the church half the night, trying to get the rusted old baptistery ready for water—something it hadn’t seen for quite a while. 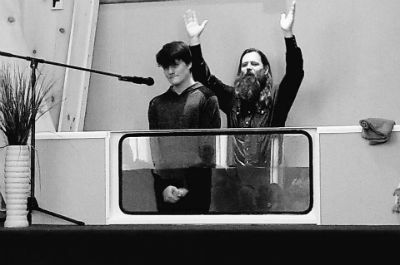 Still, the pastor of First Church of God in West Liberty, Ohio, persisted, preached a bold message of repentance, and told the story of his own unplanned-yet-providential baptism experience. When Nate asked if anyone else wanted to be baptized, thirty more individuals came forward, roughly half of whom accepted Christ on the spot. March 4, 2018, will go down in history as the day revival swept through West Liberty, Ohio. More than a God-moment or a glimpse of revival, what’s happening in West Liberty has proved far-reaching and long-lasting. As Pastor Nate put it, “This thing’s not over!” Several more souls were saved the next Sunday, and another twenty were baptized. It wasn’t so long ago that the church’s attendance had dwindled down to twelve. On March 4, there were 136 people in attendance; on the next week, 143. Pastor Nate rejoicing over new life at West Liberty. 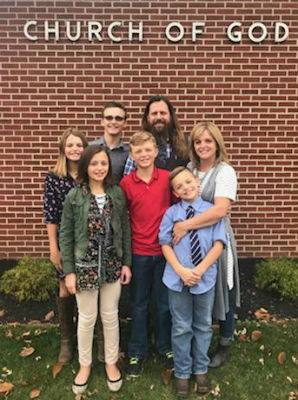 Formally, the Wilcoxon family has been a part of the West Liberty congregation for just a few months. But for the past three years, Nate has offered assistance to the church as a representative of First Church of God in nearby Bellefontaine. Whether offering pulpit supply, an encouraging word as a teacher, or a participating worshiper in the pew, Nate was developing an influential relationship with the congregation. In consultation with Ohio Ministries, the two congregations engaged in much discussion about a partnership that would advance the kingdom and point the struggling congregation toward a turnaround. On November 26, Pastor Gary Brown and the Bellefontaine church officially commissioned one of their elders, Nate Wilcoxon, to go and pastor the West Liberty church. Certainly, the most visible change that took place in the structure of the West Liberty church was their new pastor. But Nate won’t take any of the credit for the revival that has overtaken the church. Not only the baptistery; the altar was flooded, too. 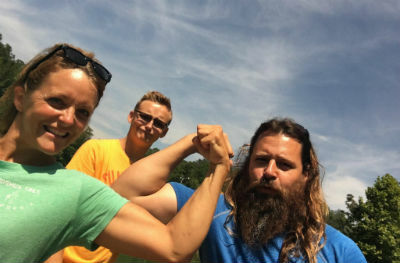 Pastor Nate and his family – ordinary, fun, authentic. 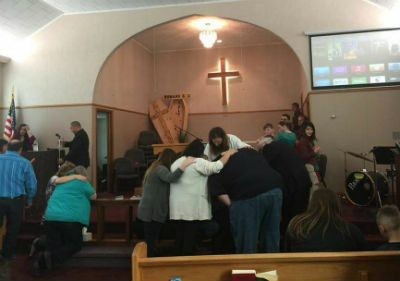 As First Church of God in West Liberty continues to grow and disciple believers, including the numerous young believers now a part of the congregation, the partnership with First Church of God in Bellefontaine continues. The worship team that eventful morning, for example, consisted of members of the Bellefontaine church. They were witnesses to the miracle that unfolded that day—and continues to unfold to this day. Former pastor Ronald Irick was blessed to witness the developments, as was former pastor Ray Headings, now eighty-four, who was baptized in that same baptistery in 1963. Ray and his wife were also saved in that church. Tears of joy were inevitable all around. Pastor Nate and family at his installation as pastor. Years earlier, Pastor Nate’s own baptism came about in a similar fashion. He was not scheduled to be baptized, but his wife was. After the pastor extended an invitation to anyone who the Spirit was prompting, Nate boldly stepped forward. That powerful moment served as a reminder to never let his plans get in the way of the wonders God has in store. This entry was posted in All Church of God, Give Life, Great Lakes. Bookmark the permalink.